Pharmaceutical companies are using a UCL technology to speed up the time taken to manufacture new drugs, helping them make huge savings. Reducing the time taken to manufacture new drugs helps pharmaceutical companies to make huge savings. For example, Protherics' application of ultra-scale down (USD) techniques in production of its snake venom antidote showed 20% savings compared to the previous process. Similarly, Protherics applied USD techniques in the development of CytoFab, a new product for sepsis therapy, where USD techniques cut the development length in half compared to traditional development techniques. More than 40 companies have used the USD technologies. GSK has successfully integrated USD technologies into its in-house activities, improving process understanding and reducing the critical path into full development. This helps ensure that GSK selects only industrialisable molecules to accelerate into development, which can mean the difference between success and failure for a medicine through clinical trial stages and beyond. Pfizer's adoption of USD techniques has helped it avoid large-scale evaluation studies, which are costly and use industrial capacity for non-commercial production. BioVex, a UK biotechnology discovery company, used USD to investigate the processing of a major vaccine candidate therapy, a Herpes Simplex virus engineered to kill cancer cells specifically. Such understanding helped BioVex to demonstrate the value of its product, culminating in an acquisition by the US company Amgen in 2011, worth up to US$1 billion. USD studies were an essential research technique in the development of novel adsorbent materials for bioprocessing, which UCL filed as a patent in 2013. 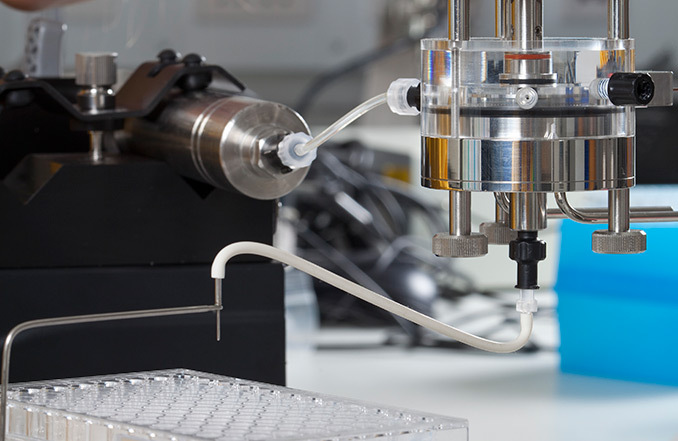 A UCL start-up, Puridify, was established in 2013 to develop the new technology, which offers a ten-fold increase in purification productivity over existing reagents, with a lower lifetime cost. This will broaden patient access to drugs through reducing prices. In 2013, the company won a £100,000 OneStart award to take the venture forward with the establishment of 25m2 of bioprocessing laboratories and the engagement of three expert bioprocess scientists/engineers.